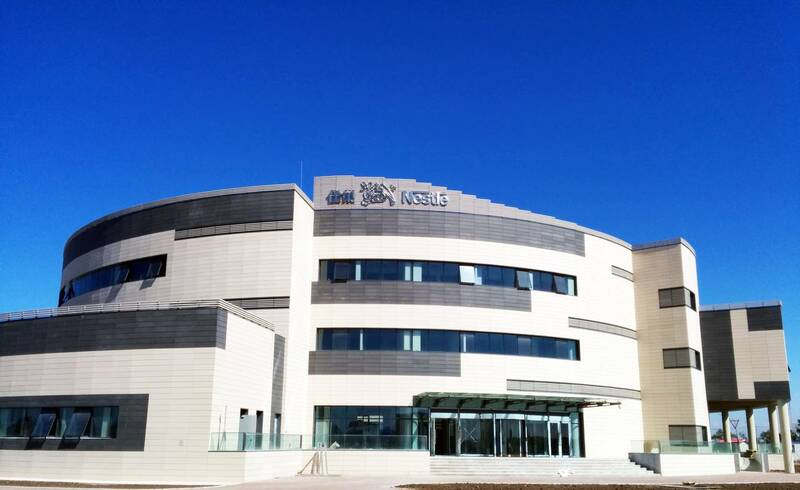 Why did Nestlé select Alltech as its partner in this project? "It's a strategic alignment," said Joehr, explaining that Nestlé cannot accomplish its goal in China by itself. "It's like building a car. Even if you have a good chassis — Nestlé — what good is it if you don't have a good engine — Alltech?" Hundreds of the world's leading dairy and beef producers gathered in Deauville, France, for an industry conference last fall. As they took their seats, they found a surprise on the table: Kit Kat candy bars. Only a group of dairy industry devotees would get the humor — and the connection. Nestlé, one of the world's 50 largest companies (and producer of Kit Kat, along with baby foods and other milk-based products among its 2,000 brands), was about to announce its new partnership with global animal health and nutrition leader Alltech, organizer of the annual Alltech global conference for dairy and beef producers. 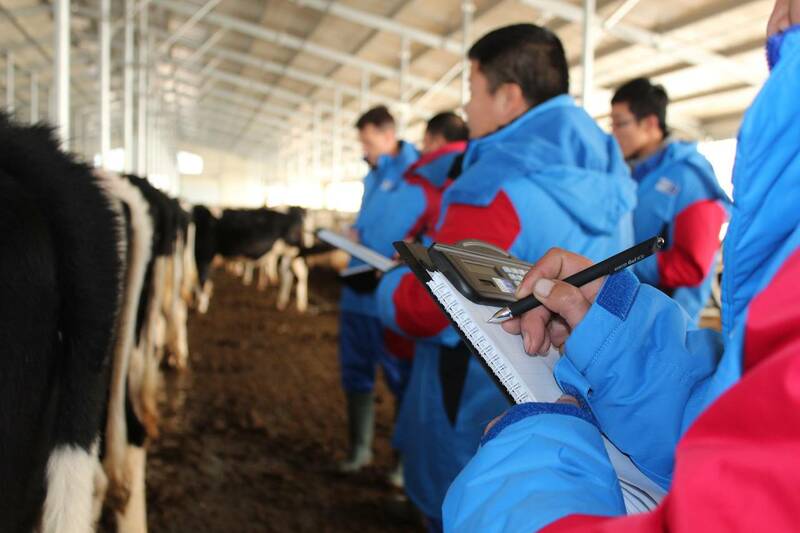 Their mutual endeavor: the Nestlé Dairy Farming Institute (DFI) in Shuangcheng in Heilongjiang province in northeast China. A major investment for both companies, the Institute, launched in October 2014, is helping modernize Chinese dairy farming practices so farmers can meet the population's burgeoning milk demand. While it has not traditionally been a staple in the Chinese diet, milk is on the move in Asia. China is now one of the fastest growing markets for milk products globally. A 2014 study by the Institute for Agriculture and Trade Policy found that in the past three decades, both dairy production and consumption in China have soared, averaging a 12.8 percent annual growth rate since 2000.The nation's dairy consumption is expected to increase 38 percent by 2022, driven not only by traditional milk, yogurt and cheese products but also the introduction of new product concepts in China such as drinkable yogurts and milk-based juices. "Milk is becoming a vital part of the Chinese diet," said Hans Joehr, Nestlé's head of Agriculture. "The Institute represents our commitment to helping China move its dairy sector to the next stage of development in a sustainable and efficient manner." The DFI is geared to help gain consumers' confidence in locally produced milk and their trust in Chinese authorities. "The essence is that DFI will help society so farmers and businesses that use milk can stay in business. It's a very powerful thing to bring to the market. This has never been done before," he said. To produce its line of baby foods, he added, Nestlé needs the highest quality milk available. That starts with healthy milking cows. Describing Alltech as the "extra ingredient" needed to help farmers raise healthy cows, Joehr said Alltech understands the nutrition cows need to produce healthy milk for Nestlé's consumer products. He pointed in particular to the company's widely recognized expertise in the milk industry and in optimal care for production animals. "It's an end-to-end approach. You need a complete competence chain to please your client." Joehr underscored that Nestlé considers DFI to be a long-term project, "not for just a year or two." That's why its alignment with Alltech is so crucial. "We chose Alltech because of the attitude and vision of its leaders. They are reflected in the value set of the company. I have known Dr. Pearse Lyons (Alltech founder and president) and his family for many years. He has credibility and trust," he said, adding that Nestlé prefers to work with farmers and suppliers like Alltech that are owner-operated and like-minded. On-farm support in the field and in the lab. Nestlé and Alltech share several strengths that are key to DFI's success, among them a commitment to education, which is an integral part of the project. Faculty members at DFI, each of whom brings specialized competences, hail from the University of Wisconsin Madison, Northeast Agricultural University and the Farm Comparison Network (IFCS). Since its opening six months ago, the Institute has held six classes on feed, as well as genetics programs and on-farm training. Both companies have had boots on the ground in China for more than 20 years. Nestlé established three milk districts in China, in Shuangcheng, Laixi in Qingdao and Hulunbeier in Inner Mongolia. Alltech has a strong presence with an office in Beijing, which is run by Dr. Mark Lyons, global vice president, Alltech and head of Alltech China business operations. "We are proud to be part of Nestlé's magnificent project in one of the most important regions of the Chinese dairy industry," said Lyons. "I am confident that Alltech's contribution, backed by 35 years of experience, will be significant in helping Chinese farmers sustainably increase their production efficiency and become more profitable." Partnering with Nestlé is one of numerous projects included in its "China Now" program. China, as a critical player in global agribusiness, is a priority focus for Alltech, and China Now reflects the resources the company has invested to strengthen its local support within the market. Fundamental to this strategy are partnerships with other businesses as well as universities. Within the last two years, Alltech has finalized formal research alliances with seven Chinese universities and research institutions — the Chinese National Feed Quality Control Center in Beijing; Northwest A&F University; Zhejiang University; South China Agriculture University; Jiangnan University; Ocean University of China; and the Ministry of Agriculture Feed Industry Centre (MAFIC) — to focus on intensive, solution-driven research. Alltech brings to DFI a feed evaluation laboratory with the In Vitro Fermentation Model (IFM), a diagnostic tool that simulates rumen fermentation and evaluates the nutritive value of total mixed rations. Through IFM diagnostics, Chinese dairy nutritionists and farmers are not only be able to get evaluations and recommendations for dairy rations to maximize feed efficiency and combat ever-rising feed costs, but also obtain estimates of the amount of energy lost as methane and methane emissions per animal. In the rapidly developing Chinese dairy industry, such new technology helps dairy productivity to continue to improve while providing insight into new and more precise ways to evaluate feedstuffs and reduce environmental impact. On-farm support in the field. Noting Alltech's long-standing relationship with Nestlé, as well as Nestlé's excellence in collaborating and improving the supply chain, Dr. Pearse Lyons, president and founder of Alltech, pointed to the important role of Alltech's new lab at the DFI. The lab provides state-of-the-art feeding technologies to improve the health of dairy cows and increase milk yield, which will assist farmers in making feeding decisions. What does the future hold for the Alltech-Nestlé alliance? "Alltech is our worldwide partner, not just our partner in the DFI," said Joehr, who recently met with Alltech's crop specialists in Brazil. He said Nestlé and Alltech plan to work together in South America, where Alltech has a strong team, in cocoa research and eventually expand into all cocoa-producing countries. "This will end up with the best milk chocolate in the future!" he said. 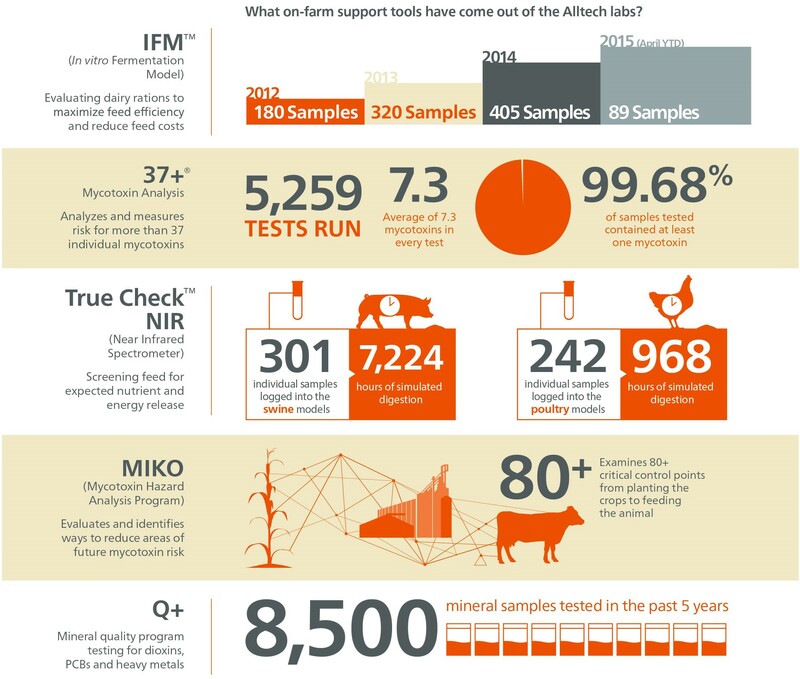 The Nestlé Dairy Farming Institute in Shuangcheng, Heilongjiang province, China, features Alltech’s cutting-edge technology feed evaluation laboratory. Dr. Neil Xu, research manager, Alltech China; Dr. Karl Dawson, chief scientific officer, Alltech; Dr. Anne Koontz, research scientist, Alltech China; Shelly Ji, laboratory technician, Alltech China; and Dr. Mark Lyons, global vice president, Alltech, were present at its official opening in October 2014.